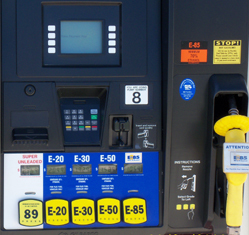 The South Dakota fuel retailer, Stone Oil Company, Inc. was one of 12 different groups to receive ethanol blender pump grants yesterday following an announcement made by the United States Department of Agriculture’s Renewable Energy for America Program. Stone’s gas station, The Prairie Stop located on the Westside of Watertown at the intersection of US Hwy 212 and SD Hwy 20 in Northeast South Dakota was awarded $33,307 which will go towards the installation of two new ethanol blender pumps. This round of REAP grants totaled 12 projects in eight states creating additional American biofuel infrastructure throughout the country as the USDA continues their commitment to broadening consumer access to clean, renewable energy. REAP has created an additional 266 ethanol blender pumps in 30 states, with 65 of them coming this year. Combined, REAP projects are expected to reduce energy usage by 2 billion kilowatts and prevent nearly 2 million metric tons of emissions from being released into the environment. This entry was posted in News and tagged corn, ethanol, farm, fuel, REAP, renewable, South Dakota, USDA.